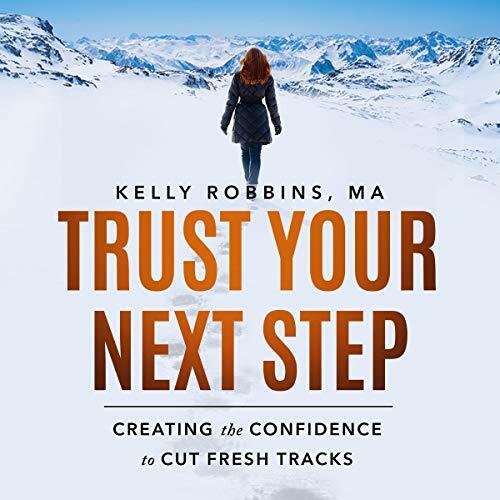 Trust Your Next Step: Creating the Confidence to Cut Fresh Tracks shares insights into the role of faith, passion, motivation, and courage when creating the lifestyle of their dreams. After finishing the book, listeners will know what it takes to create their life their way, regardless of what family, friends, or past experiences dictate. Creating "Fresh Tracks" is about teaching yourself to recognize when you are at "the edge" of your comfort zone and then having the courage and wherewithal to take that first step into the unknown - which is where true happiness, creation, and a life of purpose exist. Stepping stones to developing the confidence needed to step into creating "Fresh Tracks"
Learning to recognize "the edge" of your comfort zone and digging deep to find the courage to step past it.